Sarah Kennedy’s latest video once again tackles the U.S. Supreme Court decision in the Citizens United case. We’re already starting to see the unhealthy impacts on our democracy brought on by unlimited corporate campaign spending and non-disclosure of donors. That guy can certainly buy a bigger megaphone to get his message out — as Sarah’s video makes clear. Sens. Eric Griego and Steve Fischmann discussing their proposals to call for a constitutional amendment to overturn the Citizens United decision. Photo by Matthew Reichbach. Committees in both the Senate and House have approved memorials that call for Congress to pass and send back to the states for ratification an amendment to the U.S. Constitution that would overturn the controversial and unpopular 5 to 4 Citizens United decision by the Supreme Court in 2010. The Citizens United decision allows corporations to contribute an unlimited amount of money to groups that support or oppose candidates. It swept away decades of campaign finance law aimed at reining in the influence of money in politics. This is a tradition of reform that dates back as far as the Tillman Act of 1907 that was signed into law by President Theodore Roosevelt and banned direct corporate contributions in federal election campaigns. Because this Supreme Court decision now trumps anything that Congress could do on its own, a constitutional amendment is the only recourse. Seven times previously in our nation’s history, the constitutional amendment route has been used to reverse Supreme Court decisions. The most prominent example is probably the Fourteenth Amendment that was needed to overrule the pre-Civil War era Dred Scott decision, which enshrined Chief Justice Roger Taney’s constitutional interpretation that said black people were not, and could not become, citizens of the United States or enjoy any of the privileges and immunities of citizenship. Fast forward to 2012 in Santa Fe, New Mexico. On Thursday the House Consumer and Public Affairs Committee voted to give HM4 a “Do Pass” recommendation, sending it to the House floor. It passed on 3-2 party line vote with Democrats in support and both Republicans voting against. Friday morning, two Citizens United memorials moved forward with bipartisan support as the Senate Rules Committee unanimously gave a “Do Pass” to SM3 and SJM24. Two Republican Senators joined with the five Democrats in support of the two measures which now move on to the Senate Judiciary Committee. Sens. William Burt (R-Alamogordo) and Stuart Ingle (R-Portales) later changed their votes to vote against the memorials. The official vote is 5-2. Sen. Steve Fischmann (D-Las Cruces), the sponsor of the Senate memorial, said that he invests in some mutual funds who could use that money to spread messages that he does not agree with and that they are “usurping” his free speech. “I don’t think that’s democracy,” Fischmann said. Sen. Eric Griego sponsored the Joint Memorial which echoes a national proposal by U.S. Sen. Bernie Sanders (I-VT). Fischmann said his memorial allows more latitude in approaches to undoing the harm caused by the Citizens United decision. At last count, five amendment resolutions addressing Citizens United have been introduced in the congress, including one by New Mexico Senator Tom Udall. “I would not have succeeded without significant funding,” Kintigh said. Be sure to tune in this afternoon at 5 PM to hear a live interview with Citizens United “rapper” Sarah Kennedy on your radio dial at KSFR 101FM or livestream here. A rap video about “Citizens United”? Citizens what? For your information, two memorials have been introduced in both the New Mexico State Senate and House of Representatives that, if passed, would put New Mexico on record in opposition the Supreme Court’s 2010 ruling in Citizens United vs. the Federal Election Commission. 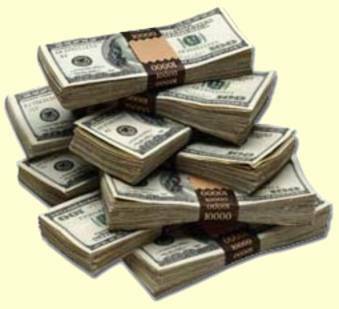 That’s the decision which is directly responsible for the rise of the “Super PACs” and the unprecedented avalanche of money that has been pouring into Republican presidential primary campaigns thus far this year – millions from big corporations and a few extremely wealthy individuals. But we ain’t seen nothing yet. The millions spent in Iowa, New Hampshire and South Carolina will soon pale in comparison to the hundreds and hundreds of millions that will be unleashed in this fall’s general election at the federal, state and local levels. The two New Mexico memorials, sponsored by Sen. Steve Fischmann (D-Las Cruces) and Rep. Mimi Stewart (D-Abq), would have each house of the legislature call upon the the Congress to pass, and then send back to the states for ratification, an amendment to the U.S. Constitution that would overturn Citizens United. By passing these memorials, New Mexico would join a growing list of communities and states that are debating and passing similar resolutions and ballot referendums, including Los Angeles, Portland, OR, Boulder, CO and Missoula, MT. The Missoula ballot question passed with 75% of the vote. Results of a poll by Hart Research Associates showed that 79% of voters support passage of a Constitutional amendment to overturn the Supreme Court’s decision in the Citizens United case and make clear that corporations do not have the same rights as people, including 42% who would definitely support it. Just 21% are opposed. Large majorities of Democrats (87%), independents (82%), and Republicans (68%) support passage of the amendment. Is “Wild West” of campaign spending back before it ever left? Before campaign finance reforms were passed in 2009, the Wall Street Journal referred to New Mexico as the “political wild west.” In addition to a non-paid state legislature, no webcasting of legislative proceedings and no independent ethics board, the lack of campaign contribution limits was cited. Now, parts of the landmark contribution limit law that was passed in 2009, and which took effect the day after the 2010 elections, were put on hold by a district court judge. U.S. District Judge William P. Johnson’s decision would allow state parties to receive unlimited donations from individuals or corporations. However, candidates themselves and organizations that coordinate with candidates would still only be allowed to receive donations of $5,000 per election from an individual or organization (with primaries counting as separate elections from the general elections). The preliminary injunction went into effect immediately because the 2012 election cycle is already underway. “Considering that the 2012 election cycle is in full swing and considering that the desired activities of Plaintiffs involve political free speech and association rights during an election year, this Preliminary Injunction shall remain in effect pending appeal unless stayed by the Tenth Circuit Court of Appeals,” Johnson wrote. Joining the state Republican Party in the lawsuit are the county Republican Parties from Bernalillo and Dona Ana County, [State Sen. Rod] Adair [R-Roswell], Rep. Conrad James (R-Albuquerque), former New Mexico Republican Party chair Harvey Yates, Santa Fe resident Howard James Bohlander, and Hobbs resident Mark Veteto. New Mexico Turn Around, a political committee with ties to the state Republican Party and the Rio Grande Foundation, and the New Mexicans for Economic Recovery PAC are also plaintiffs on the suit. Johnson decided to allow the unlimited contributions because of the controversial, and unpopular, Citizens United Supreme Court decision which allows unlimited funds to be used in aid or against a candidate. 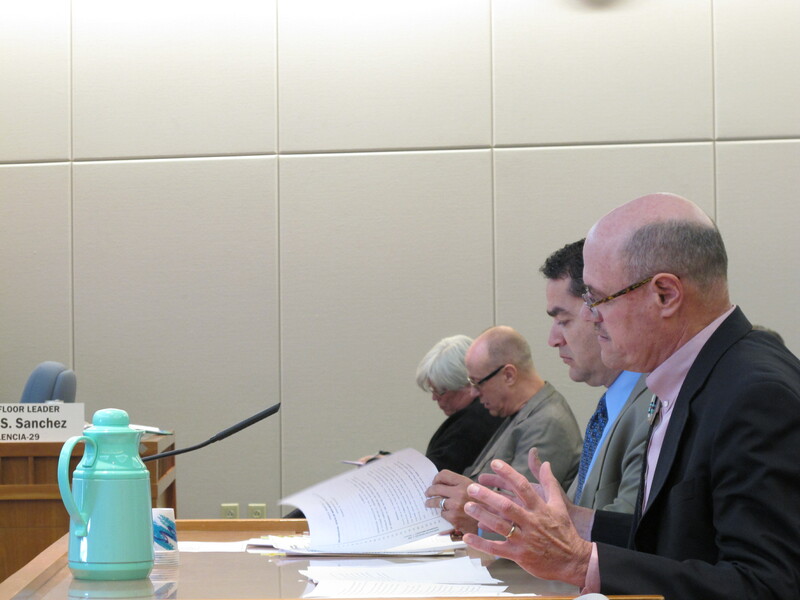 Secretary of State Dianna Duran was grilled by lawmakers at an interim Courts, Corrections and Justice hearing Friday morning. The main topic of discussion was Duran’s decision to send tens of thousands of names that her office says are potentially fraudulent to the Department of Public Safety (DPS), or state police. Duran repeatedly denied that she was looking for voter fraud throughout the hearing and said numerous times that she is merely trying to ensure “accuracy in the voter files.” Duran blamed the media for stoking the flames of people believing she is looking for voter fraud. Rep. Gail Chasey, D-Albuquerque, questioned the legality of sending over 60,000 names on the voter file to the Department of Public Safety instead of referring it to the Attorney General or District Attorneys with jurisdiction in the area. Other legislators wondered why Duran did not send the information to county clerks. Duran said that it was a lot of information and that they are not yet at the step in the process where county clerks will be involved. “We are working closely with them,” Duran said, but added that the clerks will receive the information when the names have been categorized. On March 16, the American Civil Liberties Union of New Mexico filed a public information request with the offices of Gov. Susana Martinez and Secretary of State Dianna Duran, asking for all records and correspondence related to Duran’s announcement on March 15 that her office had uncovered possible instances of voter fraud by foreign nationals. The ACLU-NM said it made the Inspection of Public Records Act request in an attempt to ensure the transparency and objectivity of Duran’s investigation, which ostensibly involved Duran comparing a “database” of foreign nationals with driver’s licenses at the state Motor Vehicle Department with voter information housed with the Secretary of State. The ACLU requested all records, documents and communication circulated between the Governor’s office and Duran’s office regarding alleged voter fraud or voting “irregularities” by foreign nationals –in essence – asking Duran and Martinez to provide proof of their alarming allegations that voter fraud in New Mexico is rampant. On Wednesday (April 6,), ACLU-NM executive director Peter Simonson told Clearly New Mexico that he has received a packet of documents from the Secretary of State, but nothing yet from the Governor’s office. The documents from Duran’s office are so redacted that they are essentially worthless, Simonson said. The American Civil Liberties Union of New Mexico has filed a massive public information request for records from Governor Susana Martinez and Secretary of State Dianna Duran in connection with Duran’s announcement that her office has uncovered possible instances of voter fraud by foreign nationals. The request, filed today (March 16), is seeking all records and correspondence related to Duran’s announcement on March 15. By making the requests, the ACLU-NM, said, it is seeking to ensure the transparency and objectivity of the Secretary of State’s investigation. “We want to know the motivations behind this investigation and the validity of any assertions that the New Mexico law allowing drivers licenses for all immigrants contributed to voter fraud,” said ACLU-NM Executive Director Peter Simonson. 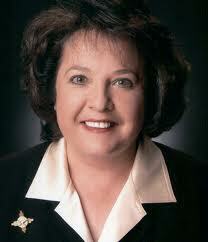 On Thursday we heard that Secretary of State Dianna Duran found Gov. Susana Martinez did not violate the state Campaign Reporting Act by using money raised for her 2010 gubernatorial campaign to pay for a radio ad that aired in Albuquerque last month. The radio ad had exhorted New Mexicans to call their legislators and ask them to vote for a bill that would stop the state of New Mexico from issuing driver’s licenses to undocumented immigrants. It was a favored issue of Martinez’s during the campaign and since taken office as governor on Jan. 1. There has been much speculation about the motives behind her push to get the law passed. Duran’s ruling was in response to a complaint filed with the Secretary of State’s office by the immigrants rights group Somos un Pueblo Unido. In the ruling, Duran said Martinez’ 2010 campaign committee is now her 2014 reelection campaign committee, and the money used for lobbying ads are legitimate 2014 campaign expenditures. Duran said she would not refer the matter to Attorney General Gary King or the district attorney. When Duran announced her decision, many were tempted to think it was the end of the matter. We at Clearly New Mexico would like to give a hat tip to the Estancia-based blog NM-Central.com, which did some important follow-up to our stories last week on the Governor’s Small Business-Friendly Task Force. To recap: In one of her first acts as Governor, Susana Martinez froze all pending state regulations and created the task force to, as she said, review whether they would be good for New Mexico businesses. An Inspection of Public Records request revealed the small business task force in charge of deciding whether to keep or scrap regulations was loaded with lobbyists for big and out-of-state corporations and other representatives from large, in-state businesses – not exactly the “mom and pop” shops Martinez said in her State of the State speech that she wanted to protect. NM-Central.com tracked the campaign contributions of some of the folks on the task force and turned up some interesting information. We only looked at one lobbyist. Roxanne Rivera-Wiest is listed as representing the Associated Bulders and Contractors, Inc., New Mexico Chapter. ACBI contributed $17,000 to the Martinez campaign. Frank Yates, past president of Yates Petroleum – Yates Petroleum is listed as a “top contributor” (number 11) and contributed $56,000 to the Martinez campaign. Perry Bendicksen, “Albuquerque venture capitalist” – We find little on Perry Bendicksen as a venture capitalist and much on Mr. Bendicksen as an attorney representing venture capitalists for the firm Brownstein, Hyatt, Farber Shreck, LLP. His page at Brownstein et al. indicates that he is a member of the Board of Directors and Chair-Elect of the Association of Commerce and Industry of New Mexico. He is also the Honorary French Consul for New Mexico, whatever that means. He has represented Gupo Cementos de Chihuahua, the New Mexico State Investment Council, the College of Santa Fe (sale of assets to City of Santa Fe), and others. Sarah Chavez, listed as Director of Sales and Marketing at El Pinto Foods in Albuquerque – We didn’t find any contribution information. However, “mom and pop” does not describe El Pinto Foods, which (according to their web site) produces 2,000 cases of chile sauce per day. Your editor found it in a grocery store in Sutton, West Virginia a few years ago. Dale Dekker, listed as Albuquerque architect – Mr. Dekker is one of the principals of Dekker Perich Sabatini, with offices in Albuquerque, NM, Amarillo, TX, and Las Vegas, NV. According to the DPS web site: “Dale serves on the executive board of the Economic Forum, the boards of the NextGen Economy, the Albuquerque Economic Development (AED), the National Board of Directors for the National Association of Industrial and Office Park developers (NAIOP) and was appointed by Governor Bill Richardson to the Construction Industries Commission and the Governor’s Education Progress Agenda Task Force.” Followthemoney.org lists a modest $500 contribution to the Martinez campaign. Kevin Yearout, listed as Albuquerque mechanical maintenance operator – This one is interesting. Kevin Yearout is listed as having donated $5,000 to the Martinez campaign as an individual. Yearout Mechanical of Albuquerque is listed as having donated $10,000 to the Martinez campaign. Cheryl Yearout donated $2,000, and according to Dexknows.com, there are a Kevin and Cheryl Yearout living at the same address in Albuquerque. Lian Yearout donated $5,000 to the Martinez campaign. We found multiple references online to a “Kevin and Lian Yearout Foundation” in Albuquerque. If these are all related, that amounts to $22,000 from the Yearout network. Mike Unthank, listed as Independent management consultant in Albuquerque – A Robert Michael Unthank is listed here as being on the Martinez transition team for the General sErvices and Information Technology Committee, and fits the description in the Clearly New Mexico article. Followthemoney.org lists a $250 donation from a Mike Unthank of Albuquerque to the Martinez campaign and a total of $1,150 from Robert Unthank of Albuquerque, bringing the potential grand total to $1,400. Robert Michael Unthank was a registered lobbyist from 2005 to 2009, representing Santa Fe Trust, Inc. and Tetra Corp. Jigsaw.com refers to a Robert Unthank as Human Resources Manager at Tetra Corp in Albuquerque. 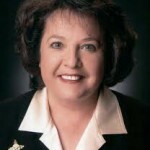 Carol Wight, listed as CEO of the New Mexico Restaurant Association – The NMRA donated $5,000 to the Martinez campaign. Whether any of this seems to represent a “pay to play” situation bears some consideration. Some of it does seem to come rather close. All things considered, it certainly does seem as if “politics as usual” and “business as usual” are close companions in New Mexico, and especially in the Martinez Administration. NM-Central.com said it used a number of online tracking sites to gather the contribution information, including the excellent site FollowTheMoney.org. The site breaks down not only individual contributions to candidates but calculates the percentage that each industry – oil and gas, dairy, construction, real estate, unions – has contributed to each. So you can do your own sleuthing, here’s a link to the FollowTheMoney.org page for Susana Martinez. We also wanted to provide a link to the FollowTheMoney.org page for Democratic gubernatorial candidate Diane Denish, so you could see the differences – and there are significant differences. Enjoy your sleuthing – and draw your own conclusions! 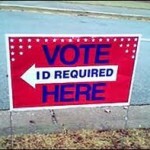 Support for Voter ID Waning? There’s a drumbeat of hysteria from those who think New Mexico desperately needs to force voters to show photo identification at the polls – and supporters of the idea think they might finally be able to get a law passed this year. One big reason is that Gov. 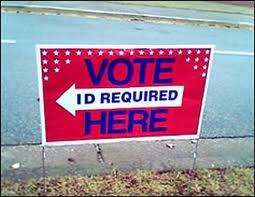 Susana Martinez is a huge supporter of so-called Voter ID – and so is new Secretary of State Dianna Duran. 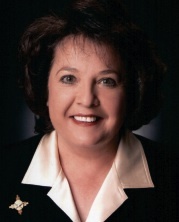 Martinez called for a Voter ID law in her State of the State speech, and Duran sponsored numerous photo ID laws in her 18 years as a state senator. Also, the state House has also gained eight Republican seats and is closer to a majority than before. A bill, HB 308, sponsored by Rep. Dianne Hamilton (R-Silver City), is making its way through committees and is expected to be heard next week in House Voters and Elections.